Where Your Family Meets Our Family! 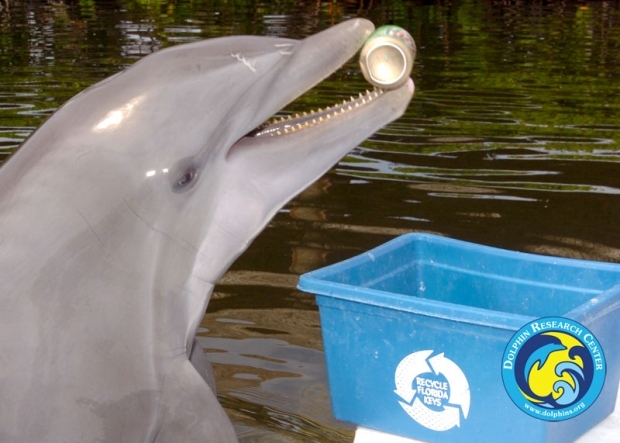 Spend an hour or the whole day with the Dolphin Research Center family. Whether you come in under general admission for an up close look at dolphins and sea lions during behavior sessions, or choose a fun-filled interactive program including swimming with dolphins, you're going to have a great time! Experience the dolphins different "dolphinalities" as they go about their day in sessions that include high-flying acrobatics, research, playtime, and husbandry training. 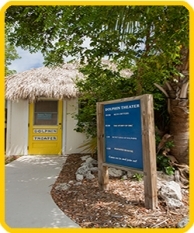 Enjoy educational presentations in our air-conditioned theater. Say hello to the exotic bird family. Don't forget to spend time entertaining the dolphins as they people-watch! When they founded Dolphin Research Center, Jayne and Mandy Rodriguez made a commitment to the dolphins that they would always be cared for here in the natural Gulf of Mexico lagoons. Whether a dolphin or sea lion is born here, or comes to us from a rescue or other situation, we provide them the sanctuary of a safe, healthy, happy home for life. Spend an hour or the whole day learning all about our family of Dolphins and California Sea Lions. BOOK NOW! 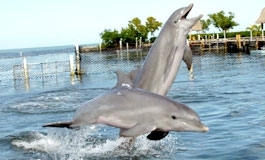 Dolphin Research Center is situated by a bay directly on the Gulf of Mexico in the fabulous Florida Keys. The natural seawater lagoons that the dolphins and sea lions call home are also host to a wide variety of fish and other marine animals. Wild dolphins stop by from time to time to visit with their DRC cousins through the dolphin-safe perimeter fence! 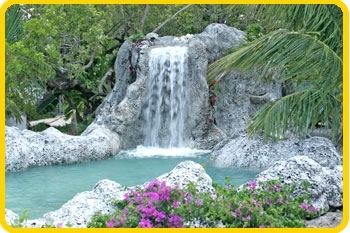 Florida Keys locals, pay admission once and then visit free for an entire year when you come with a paying guest. Just bring identification that shows your photo and residence and ask our Guest Services staff about the Monroe County Residents Pass. Get more information. 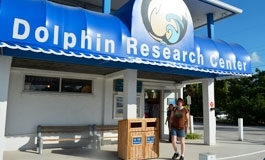 Dolphin Research Center offers wheelchair accessible restrooms. Pathways provide easy maneuverability around the facility. Traveling with your service animal or pet(s)? No need to leave your furry friends at the hotel or in your car or RV. 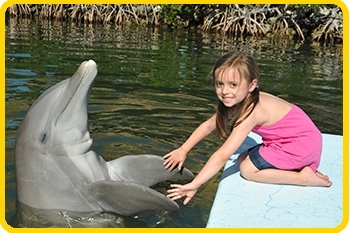 Dolphin Research Center is pet-friendly and welcomes responsible owners with animals that are leashed or harnessed. Once you have paid for a Daily Admission, feel free to come and go from the DRC grounds as you please. We will give you a dolphin hand stamp to ensure you can come back later in the day if you so wish to revisit your dolphin and sea lion friends! 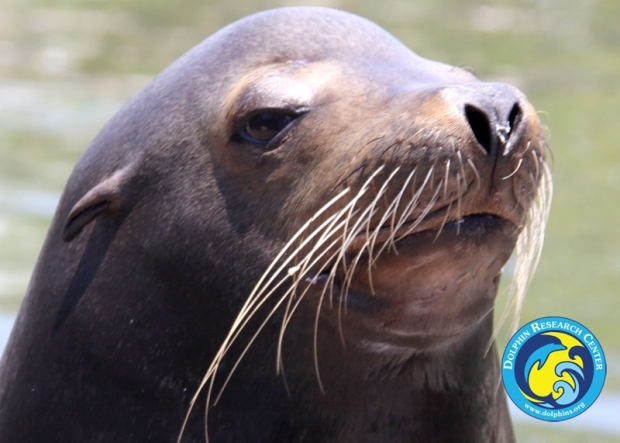 Observe Animal Behaviors and Actual Research – Observe dolphins and sea lions performing and learning new things. Research, medical behaviors, play times, “kindergarten” for the youngsters, public interactive programs - you see it all! Watch their creativity. All learning sessions are unscripted and spontaneous. 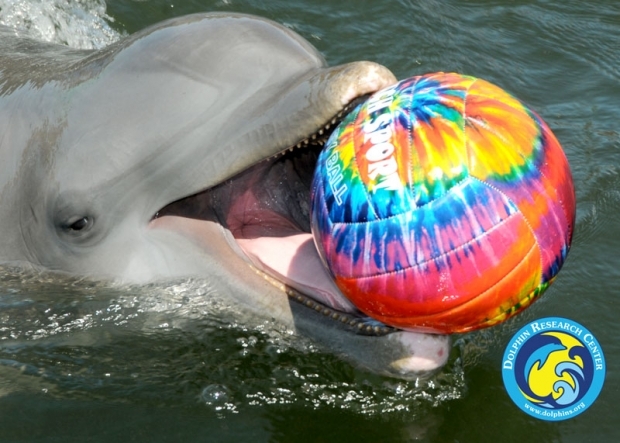 The dolphins add their ideas on a regular basis! Sessions and presentations take place about every half an hour so there’s always something to see. Chat with Trainers – Speak directly with our animal care and education staff who are always happy to talk with you about our animal family and marine mammals in general. 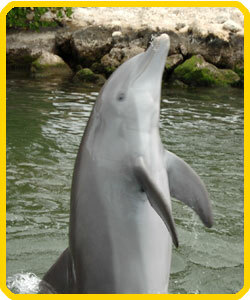 Meet the Animals – Watch the natural behavior of the dolphins and learn their “dolphinalities." 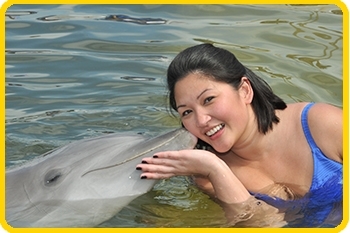 The dolphins can swim quite close to you and love to people-watch, so be entertaining! They live in groups comparable to dolphins in the wild, so you can observe social dynamics, mothering styles, juveniles’ behavior and more. Live Presentations in our Educational Theater – Enter our air-conditioned theater for entertaining educational presentations. Educational Signage – Find out all kinds of interesting and fun facts from our educational signage as you wander around the grounds. 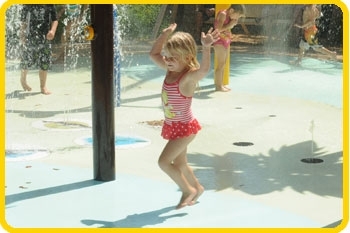 Cool off at the Sprayground – Access to the Family Sprayground, featuring fresh water blasts and mists, as well as recorded sounds by the DRC dolphins! 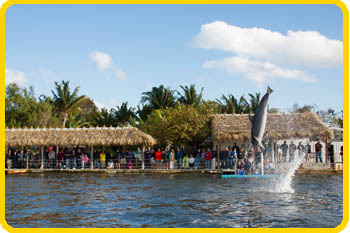 Onsite Food Concession – Enjoy delicious breakfast sandwiches, lunch, snacks, ice cream, and cold beverages on-site so that you don’t have to miss a moment of dolphin and sea lion fun! Free Parking – Bus parking also available on a limited basis. 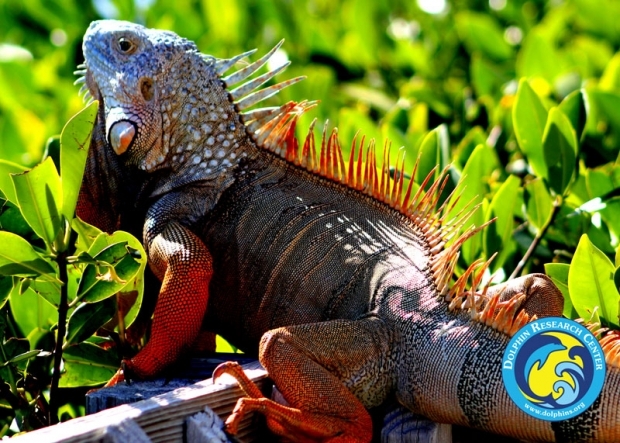 Group Admissions – DRC offers discounted admission to tour groups of 20 or more with advance notice. 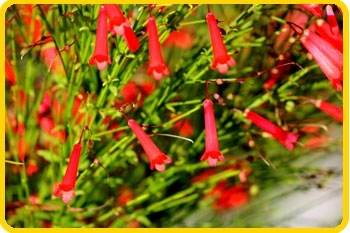 Please call 305 289-1121, ext. 239 to arrange your group’s visit. Children younger than 4 are admitted free. See our programs page to Purchase discounted general admission in advance to learn more about all of our interactive programs, including prices. 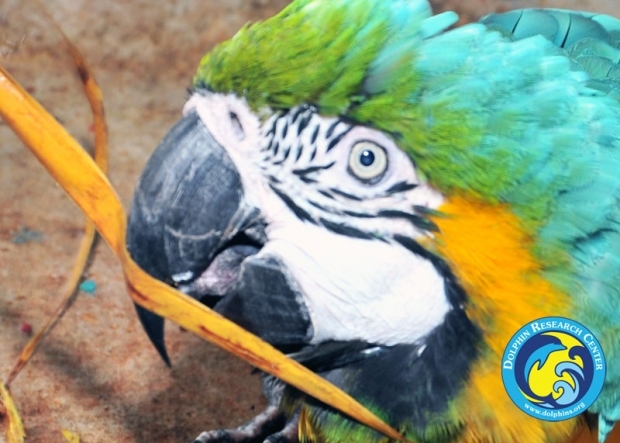 Get FREE ADMISSION with a 100% tax deductible Membership, Learn more about memberships. 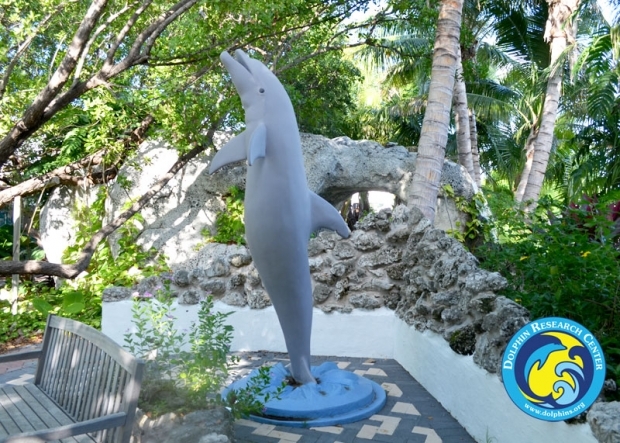 You will see our main entrance which is a white building with a blue awning, our sign and a 30 foot high statue of a mother dolphin and her calf in the parking lot. Mile markers designate locations along US1 (also known as the Overseas Highway). Mile marker 118 is the northernmost start of the Keys and mile marker 0 is located in Key West at the far south end of the island chain. DRC is located at mile marker 59. Follow the Florida Turnpike south until it ends and merges with US 1 in Florida City. Continue on US 1 south through the Florida Keys. Look for us on the right (Gulf) side at mile marker 59. Go north on US 1 over the Seven Mile Bridge and through Marathon. Look for us on the left (Gulf) side at mile marker 59. US 1 is the main road in the Florida Keys. It’s predominately a two lane road and at times, a slow moving one. In season, December to April, and on holiday weekends, traffic can be extremely heavy. Allow at least 1 3/4 hours to travel from Key West and at least 1 1/4 hours from Key Largo. You will need a minimum of 2.5 hours travel time from Miami International Airport. The web cam is once more operating. Enjoy watching the dolphins. Thank you for your patience! We are sorry, the dolphins are sleeping. Please check back between 9 A.M. and 4:30 P.M. 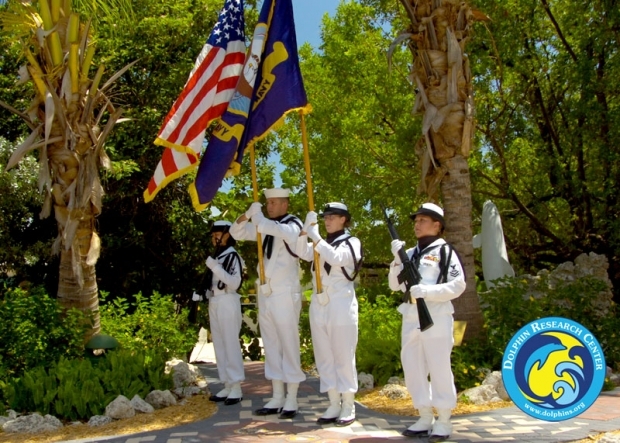 The Veterans Garden came to life in 1999 when four Vietnam veterans suffering with Post Traumatic Stress Disorder (PTSD) participated in a program that DRC designed for them. This program, which included group sessions, work projects and, of course, time spent interacting with dolphins, would form the basis for many additional military programs in the future. 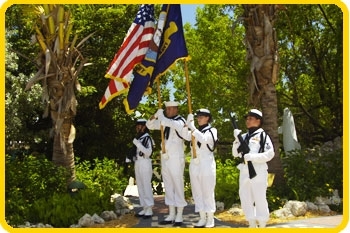 Dolphin Research Center’s Co-Founder and COO Armando ‘Mandy’ Rodriguez served in the Marine Corps in Vietnam in the 1960s. This project was very close to his heart and he participated along with this group. Even after his tour of duty had finished, the impact of his service had stayed with him and he returned to civilian life burdened with PTSD. 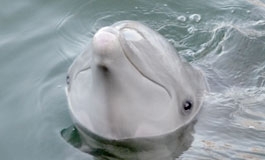 Mandy freely states that working with dolphins, experiencing their unconditional acceptance and forming deep bonds of friendship and trust with them, saved his life. From the time that Mandy and Jayne founded DRC, they dreamed of developing programs for other veterans who were also afflicted with the internal and external scars of war. Under Mandy’s nurturing eye, the garden continues to flourish. 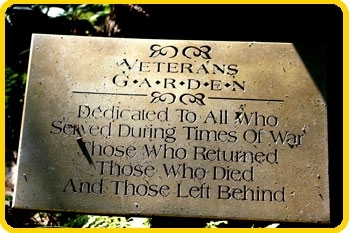 Military veterans have continued to add to the garden over the years. 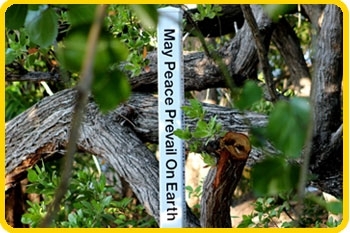 Guests may visit this area of tranquility to purely enjoy its beauty, to reflect on friends and family who have served, or to seek solace in this place of healing. 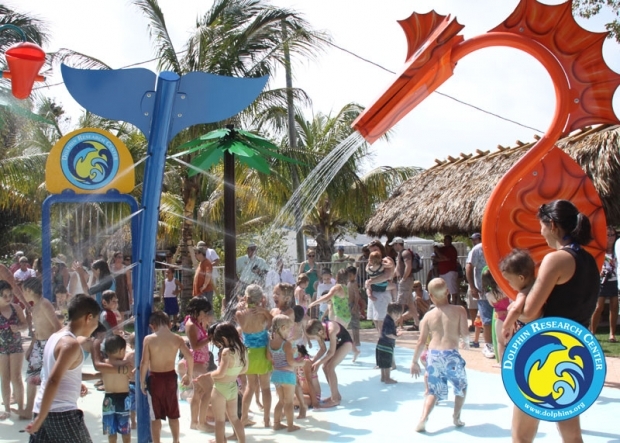 During your visit, let the kids cool down at DRC’s family sprayground! Watch them run through jets and streams of water and activate recordings of dolphin, manatee and whale sounds. This vision went from dream to reality through the support and generosity of our members and donors. The Sprayground stands as a tribute to Shawn Rodriguez, a young man who sadly left us far too early in life. The son of Founder’s Jayne Shannon Rodriguez and Mandy Rodriguez, Shawn was an educator at Dolphin Research Center. He grew up with marine mammals as his family and had a huge passion for sharing them with everyone, but most especially children. 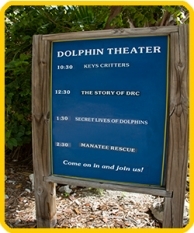 Take a break from the sun and step into our Dolphin Theater. 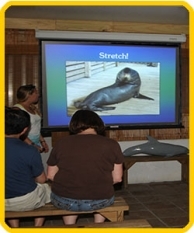 While enjoying the cool A.C. you can learn more about the mysteries of marine mammals during a variety of ever-changing enjoyable presentations and videos. Throughout your session, whether in the water or from the docks, our professional photographers will take your picture as you interact with our dolphins and sea lions. Multiple shots of each behavior are automatically transmitted wirelessly. Be sure to come by the Photo Desk conveniently located inside the Welcome Center to select your photos. 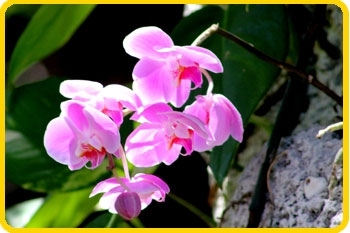 You may purchase a download package of digital images, or prints to take with you. The digital package includes a release form, additional stock photos and educational information about marine mammals, conservation and our research. You must come by the Photo Desk and select your photos. No purchase is necessary. Pricing is based on the program and is per person. Please inquire at the Photo Desk prior to your program for additional information. 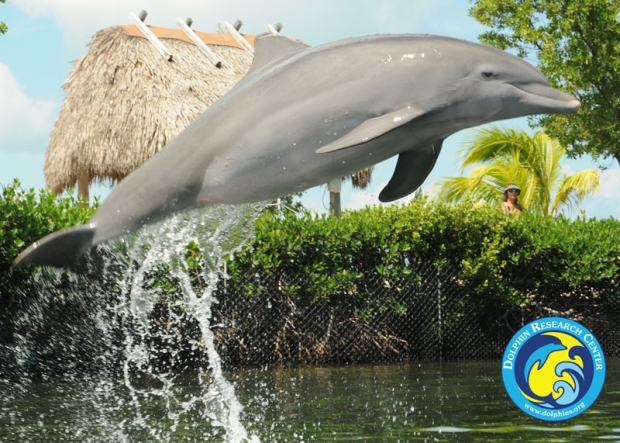 As a not-for-profit corporation, revenue from your purchases stays at Dolphin Research Center to help provide the best care humanly possible for the animals that call DRC home – we thank you! Need help with your photo order? 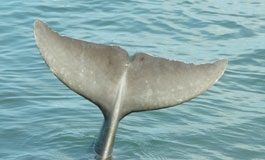 See the Help section at the bottom of the www.photos.dolphins.org webpage. You are welcome to take your own photographs, videos or other recordings from the public areas of your friends and family during their interactions. 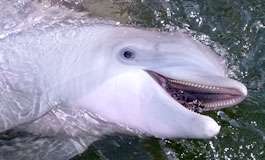 All such photographs, videos or other recordings taken at Dolphin Research Center are considered to be for your personal, non-commercial use only. No other use can be made without express, written prior approval. If you are a member of the media, or wish to use photos or video images of our dolphin and sea lion family for any commercial purposes, please email the Media Department at media@dolphins.org. In-water program participants may take floating, waterproof cameras. For the safety of the animal habitat and your personal property, no cameras or camera phones are allowed at dock programs. No selfie sticks allowed on the docks or in water for any program. 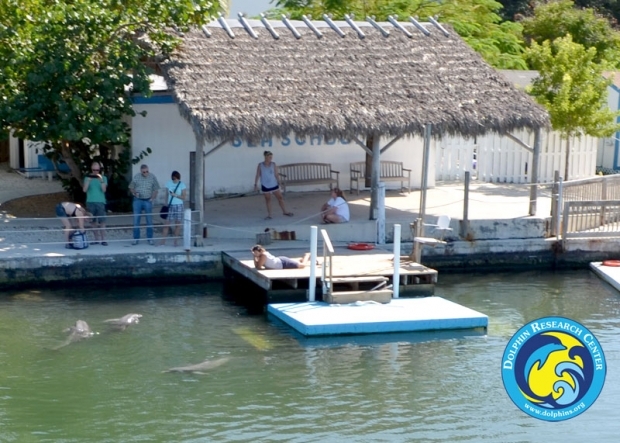 Dolphin Research Center also does not permit the use of drones on or over our facility. 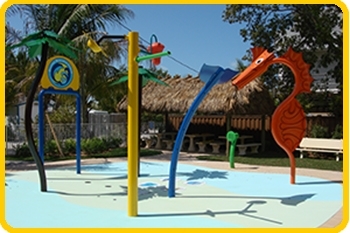 Dolphin Research Center is the ideal stop for group tours visiting the Florida Keys. 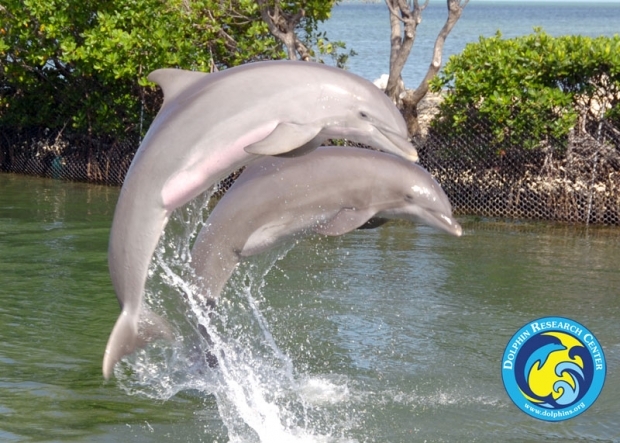 Located at mile marker 59, DRC is home to a pod of Atlantic bottlenose dolphins and California sea lions that live in a natural lagoon setting in the Gulf of Mexico. 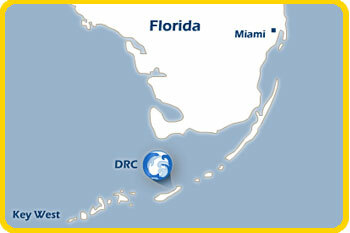 DRC’s location right off of the Overseas Highway makes it easily accessible to travelers. To get a sense of all DRC offers guests, tour operators are welcome to schedule a guided visit of the facility prior to bringing their groups. To make arrangements, please contact Susan at susan@dolphins.org or call 305-289-1121 ext 239, Monday through Friday, 9:00 a.m. to 4:00 p.m., eastern time. How do I purchase tickets for groups of 20 or more? We ask that you contact Susan at susan@dolphins.org or 305-289-1121 ext 239. Reservations can be made a week in advance. Groups of twenty or more are offered a discounted general admission rate payable by one credit card to ensure quick processing for your group. DRC does not require a deposit. However, a final head count must be provided 24 hours prior to arrival. Do you offer on-site food service? Hammers Café is conveniently located on the DRC grounds. Snacks, beverages, meals, and ice cream are available for purchase. There is also a locally-owned restaurant next door. If your group prefers lunch during their visit with us, let us know when you book your tour. The group rate includes general admission to the facility. Visitors take a self guided tour of the grounds and watch fun-filled, exciting, narrated behavior sessions and educational presentations. 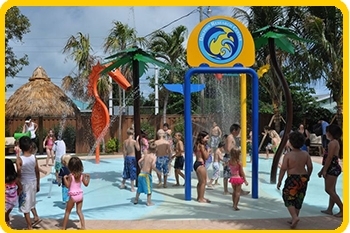 There are activities going on every half an hour and a Sprayground for kids of all ages. Stay for an hour or the entire day if you like. Can you customize the time spent at DRC? If anyone in your party is interested in participating in an interactive program, we will do our best to accommodate them with one week prior notice. We can also tailor a narrated session to the interests of your guests, such as requesting a research or medical demonstration. Participating in an interactive program is best achieved when you have a couple of hours to spend with us. Yes. There are pavers throughout the grounds that extend from the Gift Shop to the end of the causeway to ensure that everyone can easily travel through the facility. We also have wheelchairs available for those needing a little extra help, or to make their visit more enjoyable. What is the parking fee? There is no fee to park. Visitors can easily disembark in front of the Gift Shop and a staff member will direct the bus driver to the bus parking area. Do we need masks, fins, and snorkels? No, all interactions with the dolphins take place at the surface of the water. View a chart of average high and low temperatures by month. We do not provide wet suits here, but they can be rented at any of our area dive shops. Do you have life vests? Yes, we provide life jackets/vests for anyone who’d like to use one. 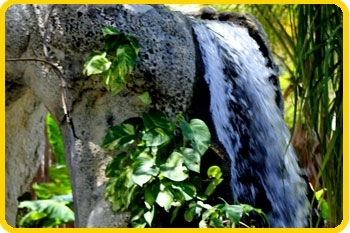 These are located at the front lagoon near where you will gather prior to the start of your swim. Volunteers and staff members will be happy to help you choose one that properly fits. Simply ask for a life vest when the trainer tells you which dolphin(s) you will be swimming with and before going to the dock. Where do we get on the boat to go where the dolphins are? 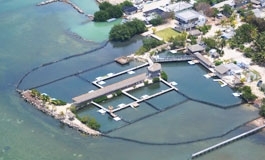 All dolphin programs and activities take place here at Dolphin Research Center. 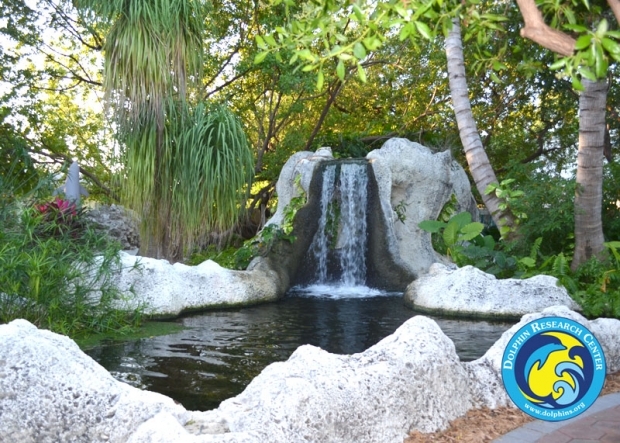 You will see the dolphins and/or do your interactive program in a secure, natural seawater lagoon. Will we be able to freely swim with the dolphins? 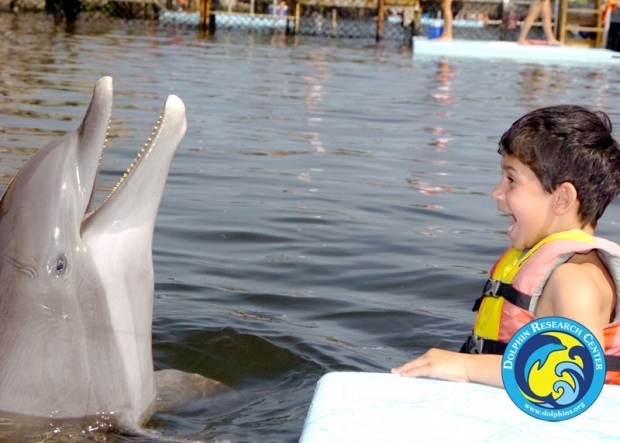 We structure the Dolphin Encounter to ensure that each swimmer enjoys actual one-on-one interaction with the dolphin(s). 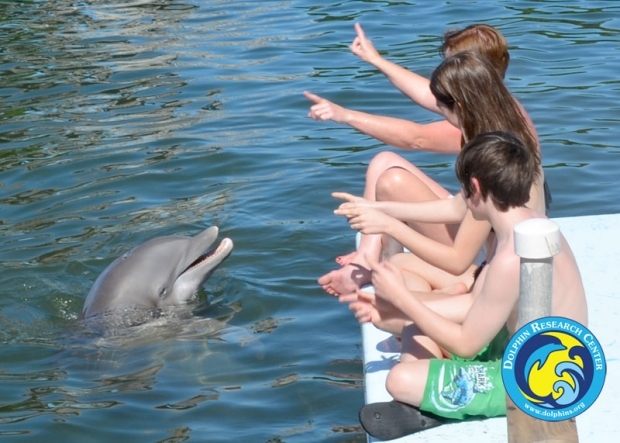 The trainer will show you how to ask the dolphin to take part in specific, fun behaviors. We’ve chosen not to offer free swims since there’s no guarantee that the dolphins will come to you to make contact. 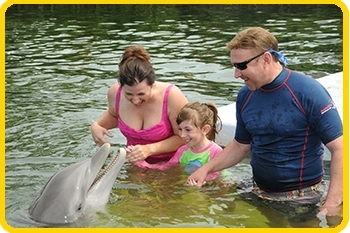 The structured swim offers maximum potential for a great Encounter for both you and the dolphins! It’s always a challenge to predict the weather on any given day in the Florida Keys. It can be bright and sunny most of the day, and then give way to a brief rain shower. 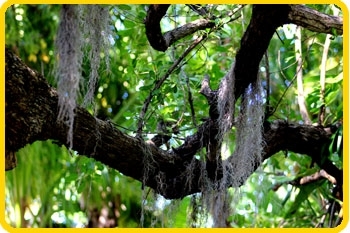 It could be raining in Islamorada or Key West and still be beautiful on Grassy Key. 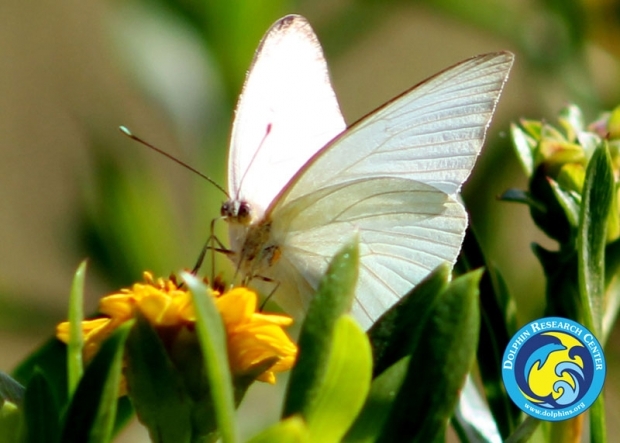 See a current local weather forecast, but keep in mind that a rainy day doesn’t necessarily mean it will rain all over the Keys all day long. What happens if bad weather prevents us from doing our program? Rain alone will not cause us to cancel the programs. In several programs, you’re already going to be wet! If we experience severe thunder and lightning storms, or another weather condition that makes it too risky for people to be out on the docks, we do our best to reschedule your programs. 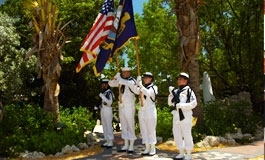 We reschedule later the same day if possible, the following morning if not, or at a time during your stay here in the Keys that will work best for you. Rain-checks are good for one year. Can you recommend a hotel near you we can stay? 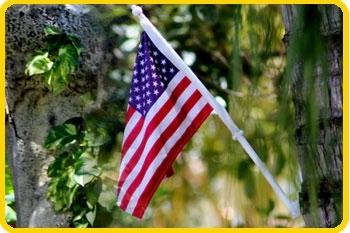 Visit the Area Accommodations page on our website. 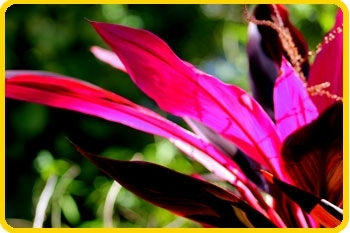 Here are some additional websites that can help you find a hotel near the DRC. Can I pay more money to spend more time in the water with the dolphins? All of our training and work with the dolphins is based on a philosophy of positive reinforcement with lots of enthusiasm, excitement and attention. 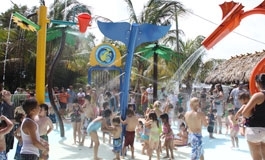 Each dolphin session runs between 20 – 30 minutes. We’ve determined that this length of time enables us to keep every session fun and interesting for the dolphins as well as the people. 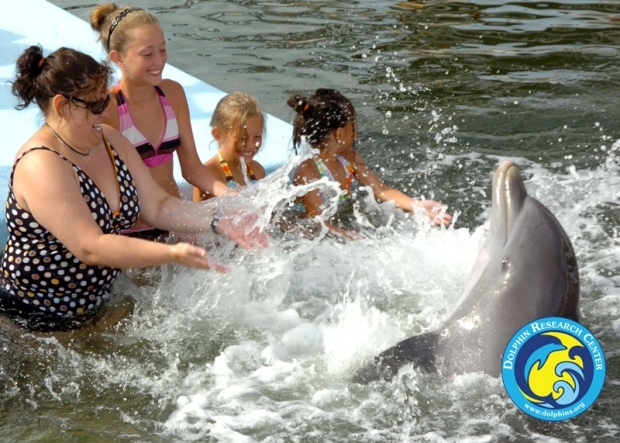 With so many dolphins and all of our activities, we have lots of sessions to do, all of which can be seen by guests. The daily schedule is made up based on the sessions running no longer than 30 minutes. 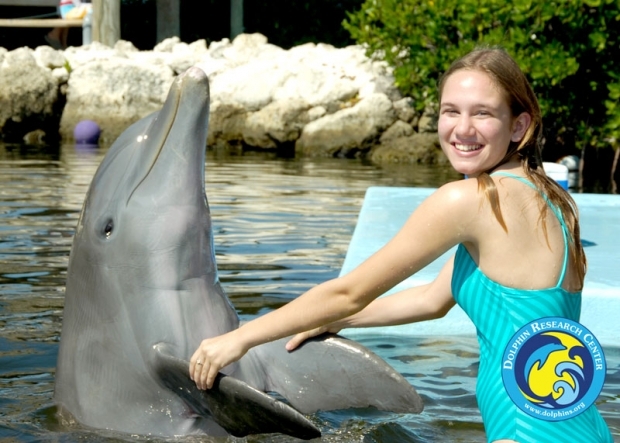 While we cannot extend an individual Dolphin Encounter or Family Dolphin Splash session, if you want to spend more time doing different interactive programs, you might be interested in Trainer for a Day or the VIP Experience. 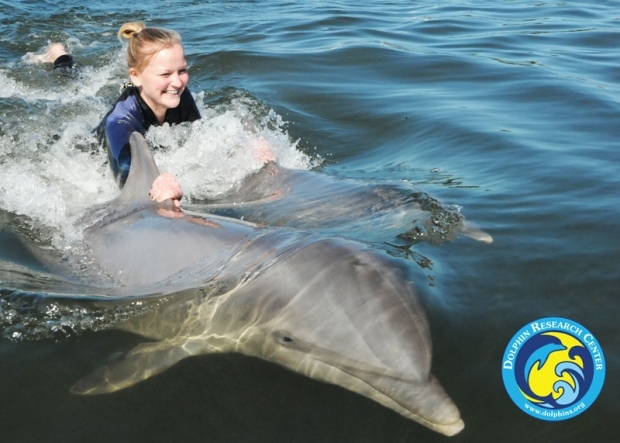 These include Dolphin Encounter, as well as other fun-filled activities in which you accompany trainers to numerous sessions and take part in a variety of interactive programs. 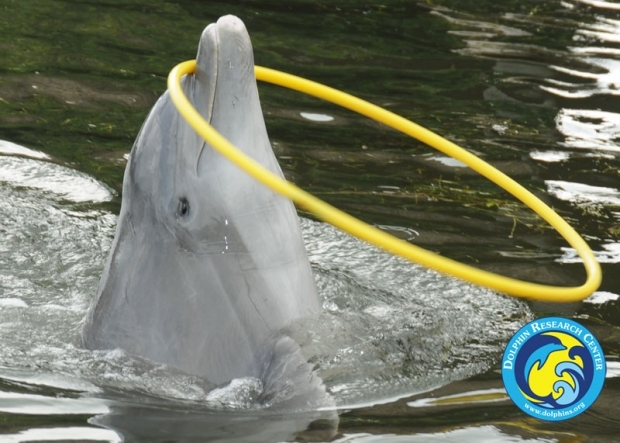 Will your dolphins be released back into the wild or can they come and go as they want to? Most of the dolphins at DRC were born here or came to us from other facilities and have lived most, if not all, of their lives in human care. Others have been taken in as rescued youngsters after they were deemed non-releasable by the federal government. 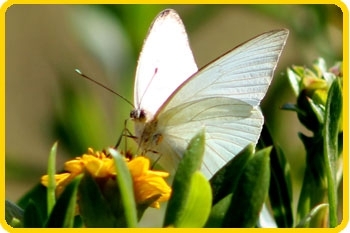 At DRC they have a permanent home with excellent food, a great medical plan, the company of their family and friends and all of the love and attention they could possibly want. They have no interest in leaving their home. It could also be quite risky for them to do so as they lack adequate skills to survive on their own. 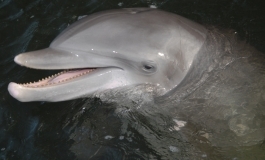 There is also the risk of them contracting dangerous viruses from wild dolphin populations. 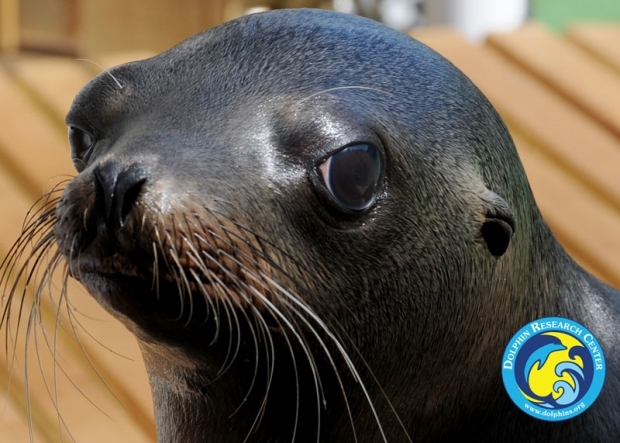 The federal agencies responsible for overseeing marine mammal parks and aquariums do not permit facilities to let the animals in their care come and go at will. Can we take our own pictures in our program? You’re welcome to take a waterproof camera in the water for the Dolphin Encounter or Family Dolphin Splash. 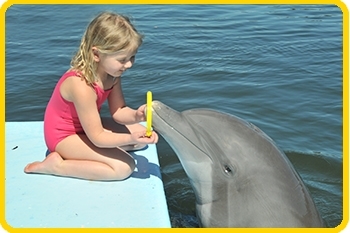 We do not allow any type of camera, even those that are waterproof or those that are part of cell phones, to be used during other programs that take place on the dock (Meet the Dolphin, Paint with a Dolphin, Dolphin Explorer, Play with a Dolphin). We do not want to risk these items hitting the dolphins if they’re dropped, or falling into the water where we cannot recover them for you. DRC staff photographers will take your picture while you maximize your enjoyment of spending time with the dolphins. Someone in your party who is not participating in the same program may also take pictures from the public viewing areas. 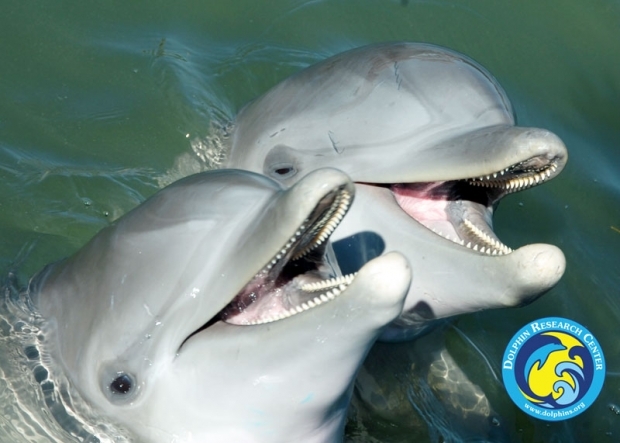 Please note that Dolphin Research Center does not permit you to bring in or use selfie sticks. The dolphins are accustomed to being fed by the trainers that they know. 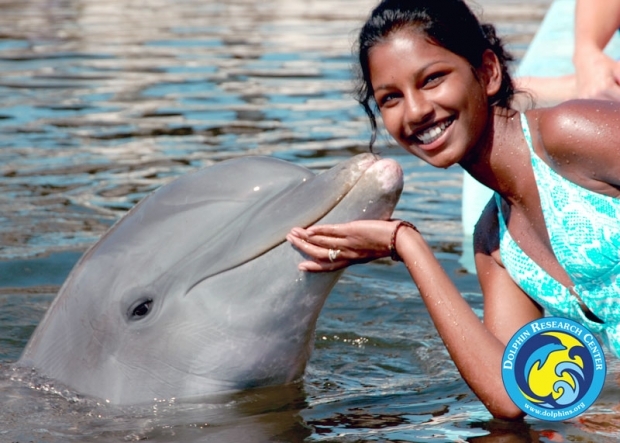 Each dolphin requires a specific daily caloric intake to maintain optimum health and weight, just like you. 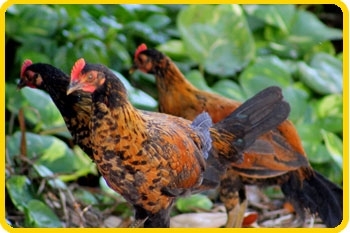 Their food is carefully planned and divided into several meals which they consume throughout the day. The trainers constantly monitor the dolphins during every session to make sure that they are eating complete meals. Having multiple people offer the dolphins their food makes it more confusing for the dolphins, and more difficult for the trainers to track. Can you make an exception for my pregnant wife if we accept full liability? We’re sorry, but we are unable to make an exception for pregnant women. There are no legal documents that exist that would 100% guarantee that Dolphin Research Center would not be considered liable in a court of law. 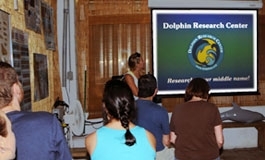 Of even greater concern to all of us at Dolphin Research Center is how horrible we would feel if we permitted a pregnant woman to participate in an interactive program and then something happened that injured her or the unborn child. 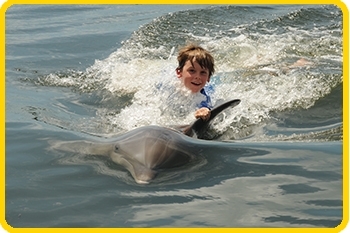 Rather than have to live with that on our conscience, we hope that you will visit us again with your child in the future and enjoy a dolphin interaction.